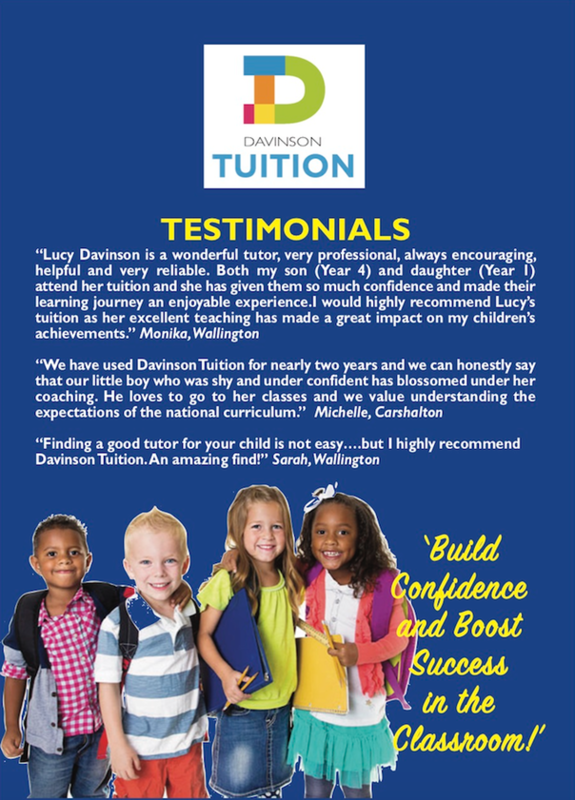 "I highly recommend Davinson Tuition to Local Mums.�We have used Mrs Davinson for nearly two years and we can honestly say that our little boy has blossomed under her coaching. He loves to go to her classes and we value understanding the expectations of the national curriculum." 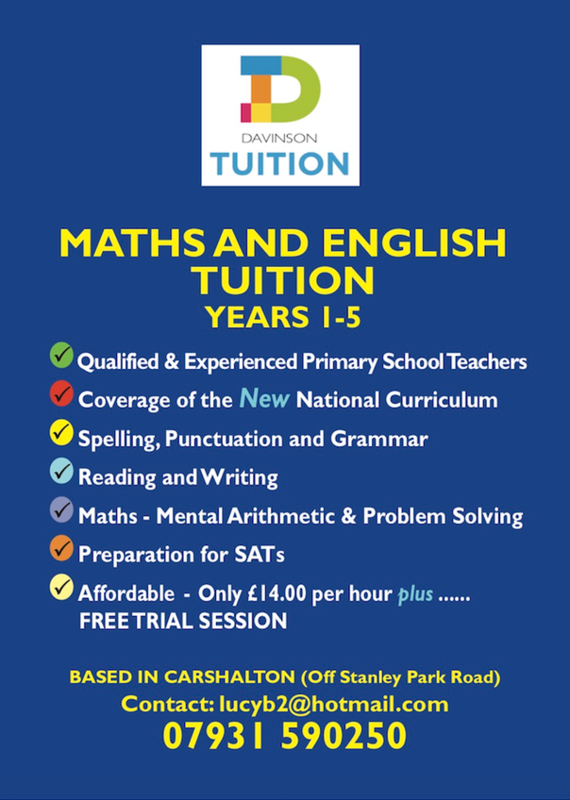 “I�recommend Davinson Tuition to Local Mums.�Lucy Davinson is a wonderful tutor, very professional, always encouraging, helpful and very reliable. Both my son (Year 4) and daughter (Year 1) attend Davinson Tuition and she has given them so much confidence and made their learning journey an enjoyable experience. Lucy's teaching has made a great impact on my children's achievements." "Finding a good tutor for your child is not easy... but I highly recommend Davinson Tuition. An amazing find!"